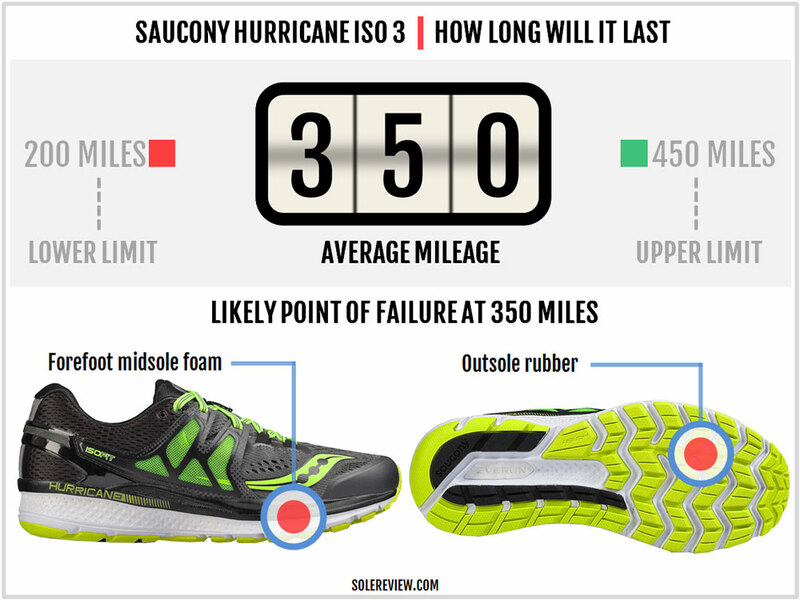 Saucony’s marketing pitch: Increased cushioning and lasting stability benefit your long runs. Upper: Engineered mesh, fused synthetic, inner sleeve, external midfoot strap, plastic heel clip. Midsole: EVA foam, Everun topsole and heel insert, firmer density wedge. 8 mm heel drop. 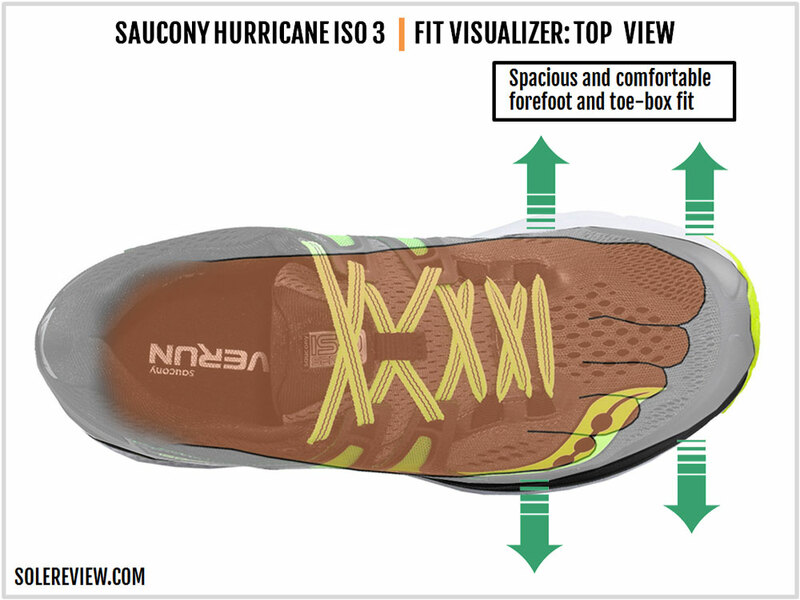 The Hurricane ISO 3 is Saucony’s premium cushioned-support shoe. The centered Everun core provides plenty of cushioning while the sloped medial post provides support without being intrusive. The upper fits wider than the ISO 2. 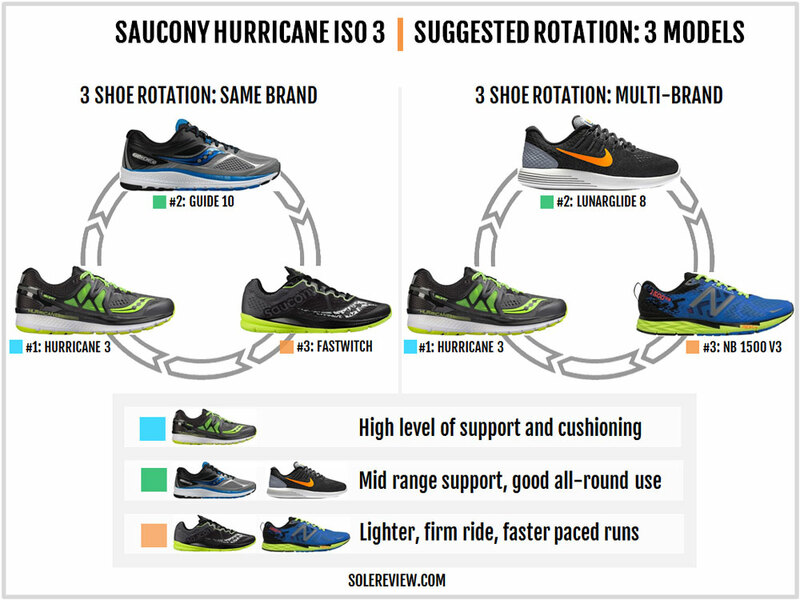 Saucony is on the same level as Asics when it comes to the variety of stability running shoes. There’s no dearth of products with a firmer medial wedge, no matter what the price. At $80, there’s the Saucony Linchpin. At $120 and $130, you have the Guide 10 and the Omni 15 respectively, and the $150 Redeemer provides max-support with its ultra-wide footprint. The latest Hurricane comes with major updates over the ISO 2. The Everun crash pad is relocated inside, and the ISOFIT panel on the upper gets downsized. Both these factors have a say in the ride and fit quality, and we’ll cover these areas in detail during the review. For this year, Saucony chose to simplify the ISO 3’s upper design. The upper mesh is an engineered type – a structure which has open and dense zones together for ventilation and support. Except for the Saucony logo and toe-bumper overlap, the forefoot is kept free of layering. 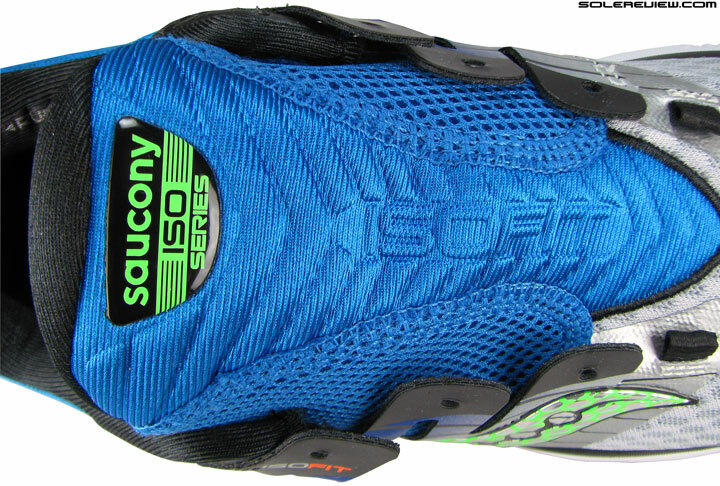 The midfoot has a separate synthetic panel which Saucony calls the ISOFIT. This delivers additional support around the midfoot, though this year the ISOFIT component has shrunk when compared to the ISO 2. The first two lacing rows are now directly stitched on the upper instead of being a part of the synthetic panel. The Hurricane lacks an independent tongue, which is a good thing. It is a part of the full sleeve which wraps around the foot; it’s made of a slightly spongy mesh backed by a foam-filled lining. 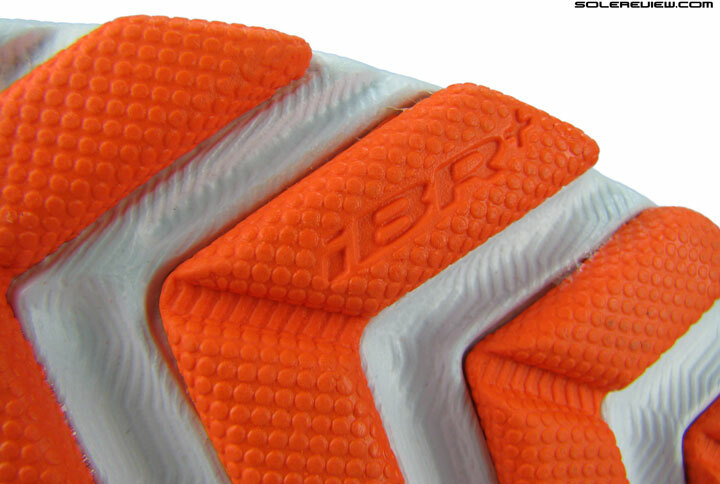 Unlike the ISO 2, there’s no fancy molding detail over the tongue. An external heel clip has been a regular fixture on both the Triumph and the Hurricane for the last few years. This hard piece of plastic wraps around the foot for heel support. The ISO 3’s clip loses some bulk over the heel when compared to the ISO 2, but compensates by extending longer on the sides. In recent times, many Saucony shoes with a side crash pad – whether it’s made of SRC foam or Everun – have evolved into a cleaner design. 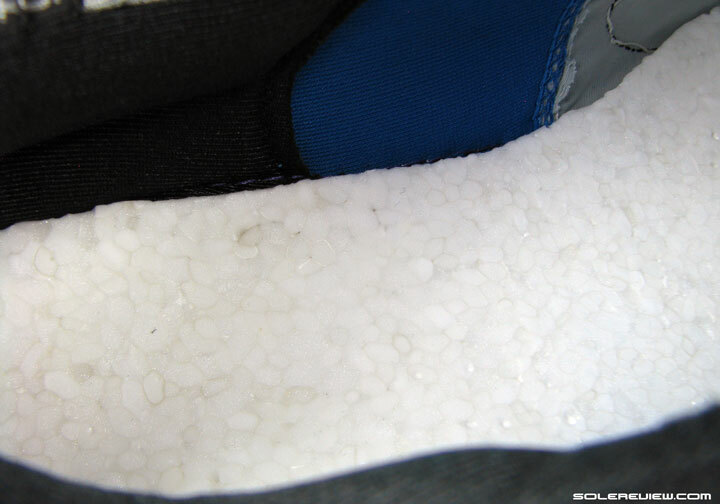 Instead of having the crash pad on the outer midsole, the softer foam has moved inside the midsole. We saw this happening on the Guide 10 and the Triumph ISO 3, and the Hurricane ISO does likewise. 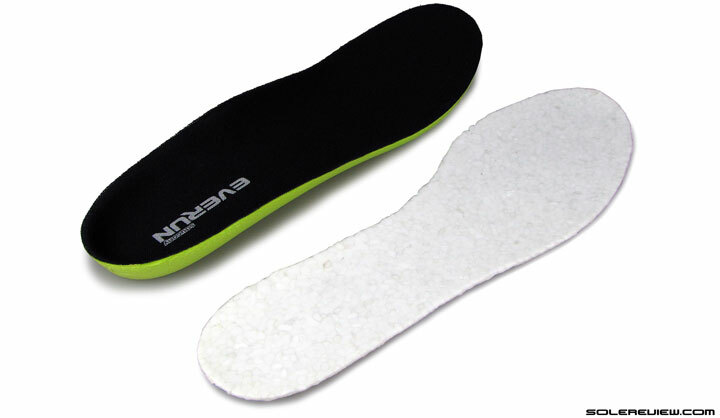 However, the Everun topsole has not changed and forms a full-length layer between the removable insole and the midsole. The firmer medial-post does not extend up to the midsole edges and is limited to the lower portion. Compared to the ISO 2, the medial-wedge has a more sloped profile; this translates into a completely non-intrusive behavior. You will not feel the medial-wedge directly under the foot as there’s a layer of softer midsole foam in between. The midsole under the arch has a gentle upwards curve, resulting in a sensation of under-arch support. This is an update over the ISO 2 which lacked this flare. Below, the Hurricane ISO 3 sticks to the ‘Chevron’ outsole layout, using forward-oriented strips of blown rubber under the forefoot. The rearfoot has a couple of hard rubber pieces which are separated by an area of exposed foam. 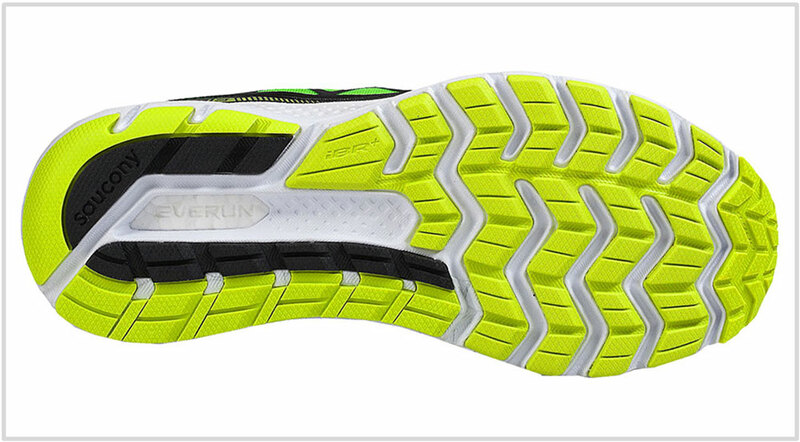 The Everun foam insert can be seen through a window under the heel center, and this serves two purposes. Since the Everun is concealed inside the midsole, it comes in handy as a touch-and-feel element when buying the Hurricane. This design also adds to the cushioning quality as the softer area allows better heel splay. The rubber landing zone under the heel has reduced grooving versus the ISO 2. You’ll get a reasonable range out of the Hurricane ISO 3. The rubber clad outsole will withstand the rigors of daily runs over a few hundred miles, and the well-stitched together upper will likely outlast the outsole. The blown rubber is softer than the rear, so expect some initial wear after which the shredding is going to taper off. The forefoot is more EVA than Everun, so take note if you’re a forefoot striker. The EVA-based forefoot is going to lose its cushioning at a quicker rate than the rearfoot. Be it the toe-box or the midfoot, the Hurricane has a roomy fit. The fused bumper on the toe-box ensures optimum height, and the relatively unencumbered midfoot provides a snug and comfortable fit without pressing into the sides. If you ask us, the ISO 3 feels better than the ISO 2 because of the smaller ISOFIT panel – there’s reduced pressure on the sides. The heel has a snug yet plush feel to it. The textile lining is soft, and there’s an abundance of foam packed within. The forefoot and the half of the midfoot are built using engineered mesh with minimal layering outside. This makes the forefoot fit roomy (and more so than the ISO 2), and the fused toe-bumper creates sideways toe-box room. The Hurricane ISO 3 fits true to size. The Hurricane’s ride softness is rearfoot loaded, which makes sense given the presence of an Everun foam insert. Rearfoot strikers will have plenty to be happy about; besides the Everun insert, there’s a topsole and molded insole atop it. And if that wasn’t enough, the foam cavity on the outsole splays out during runs and enhances the cushioning feel. The forefoot cushioning is relatively minimal, though the softer blown rubber outsole separated by wide flex grooves does a good cushioning job. 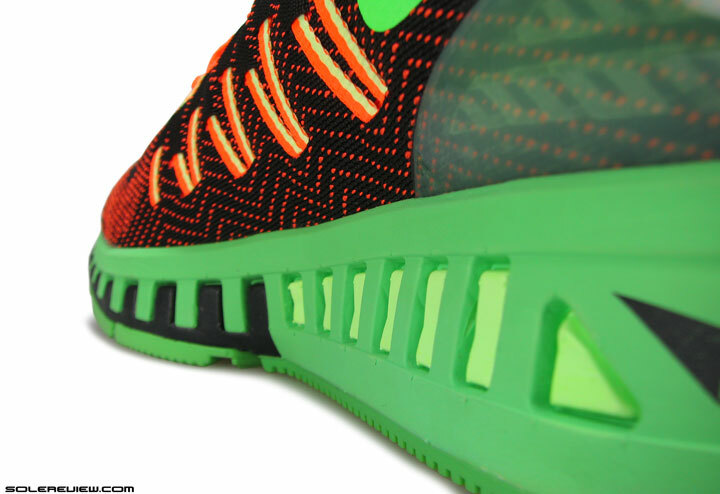 Runners switching to the ISO 3 from the ISO 2 will find a changed cushioning behavior. The ISO 2 had midsole cushioning which was biased towards the outer side, thanks to the crash pad and an outsole strike zone with generous grooving. The ISO 3 now has a firmer outer midsole casing with the softer Everun inside, so the ride turns firmer on the outside but softer under the center. The ISO 3’s heel outsole piece doesn’t have a lot of grooving, so if you’re landing on the outer heel edge, the ISO 3 feels firmer than the ISO 2. Though we’re heading into summer, here’s an advisory for runners planning to run in low temperatures later in 2017. 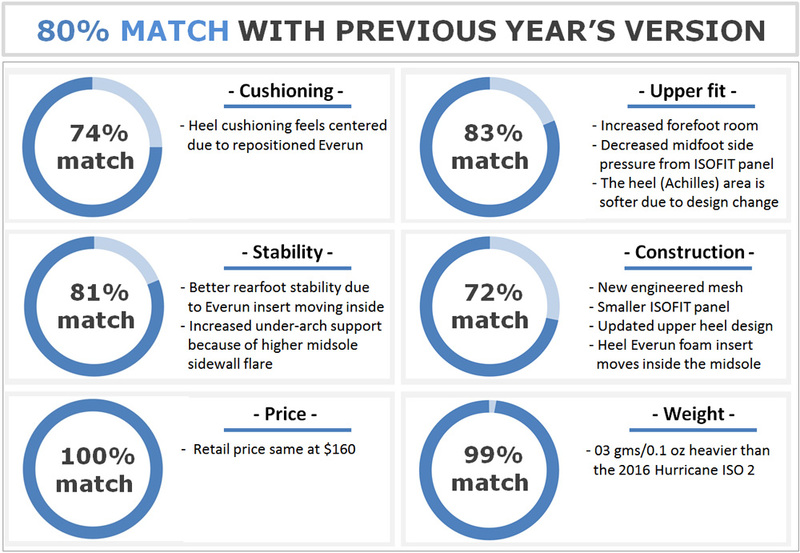 The forefoot feels noticeably harder than the heel in the cold, as the EVA material is more prone to stiffening than the Polyurethane-based Everun foam. 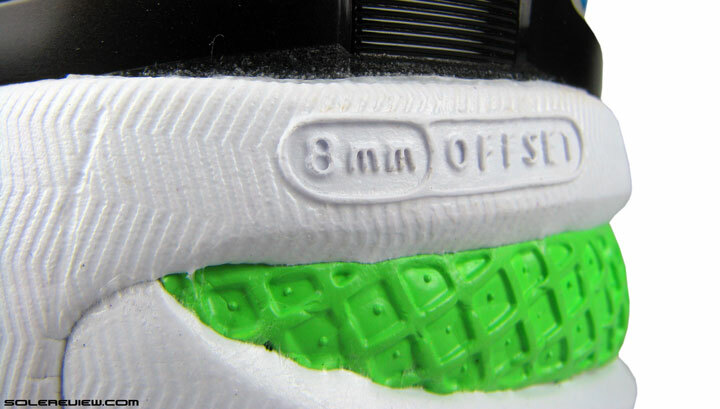 The same reason which makes the ISO 3’s heel softer also makes the rearfoot more springy than the front. The additional Everun under the rearfoot and the foam cavity on the outsole gives the Hurricane 3’s heel a higher level of responsiveness. The forefoot is mildly responsive, as the shoe only has the thin Everun topsole to depend on. The updated Everun placement and the redesigned medial post give the Hurricane a very balanced ride character. 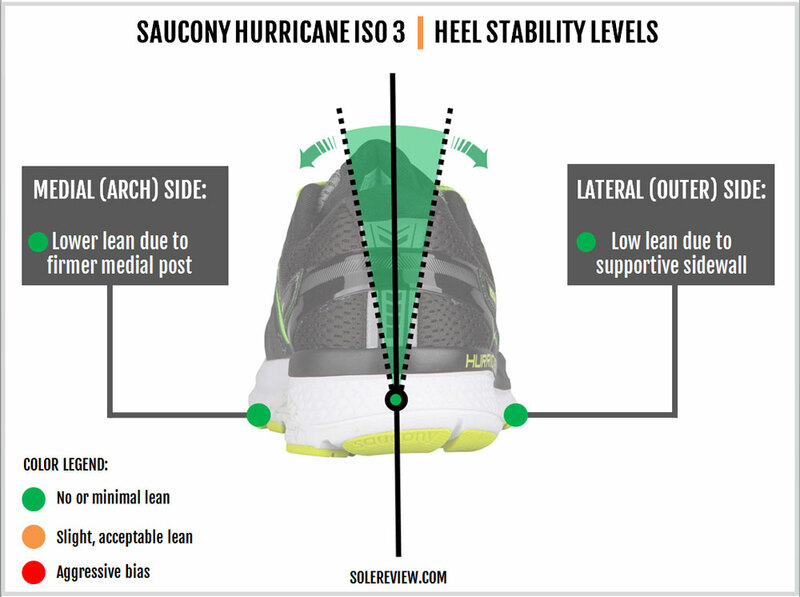 The shoe feels more centered than the past two Hurricane versions, and the lower medial-post gives the ride a near-neutral quality. There’s an absence of sideways lean experienced in some ‘stability’ shoes. 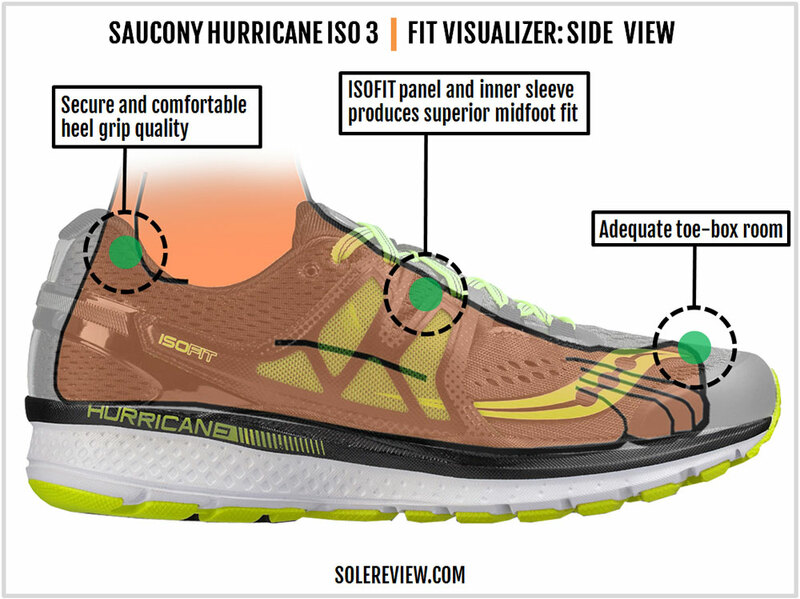 One of the things we’ve noticed on Saucony running shoes (including the Hurricane) is that the forefoot has a wide flare which results in excellent stability. The forefoot feels reassuringly planted, and the consistent spread of rubber offers a smooth transition and push-offs. Heel to toe transitions could be slightly better though. Considering that the most of the Everun is packed in the rearfoot, there’s a bit of a sink in the heel followed by a firmer feel from the midfoot to the forefoot. Full Everun shoes like the Freedom ISO have demonstrated time and again that uniformity in materials leads to a superior transition quality. The Hurricane ISO 3’s sleeved construction makes the interiors smooth and comfortable. The new engineered mesh upper adds to the comfort level by being slightly elastic and letting the air circulate. There’s plenty of room in the forefoot and toe-box, and the heel feels plush and secure. Being supportive is the Hurricane’s claimed forte, and its real-life performance holds up as advertised. The softer Everun core inside the midsole keeps the ride centered, and the firmer medial post adds stability without poking into the foot. 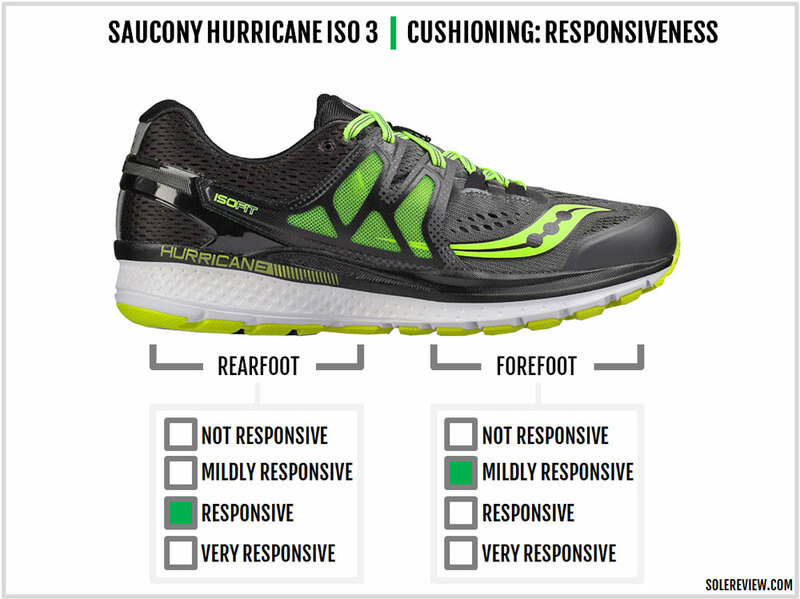 The forefoot of most Saucony running shoes have a planted feel, and the ISO 3 is no different. 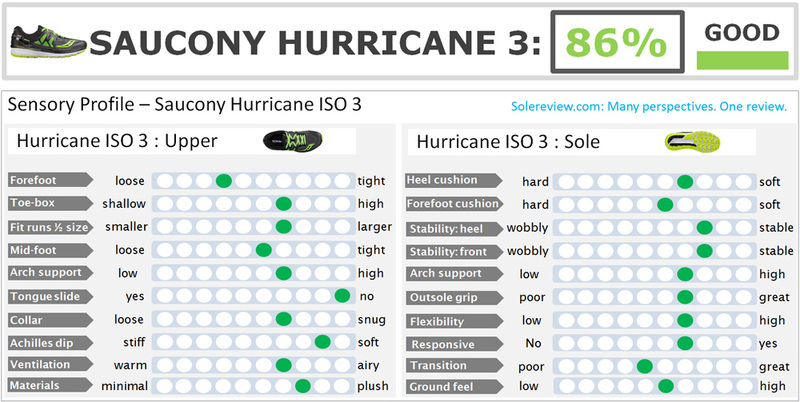 There aren’t many flaws on the Hurricane ISO 3, though there are some minor niggles. The first two lacing rows are independent of the ISOFIT panel so if you have narrow feet and happen to lace the Hurricane tight, the mesh material tends to pucker/bunch up. Another area where the Hurricane could improve is how it spreads its cushioning. Only the rearfoot gets the Everun insert and the forefoot doesn’t. 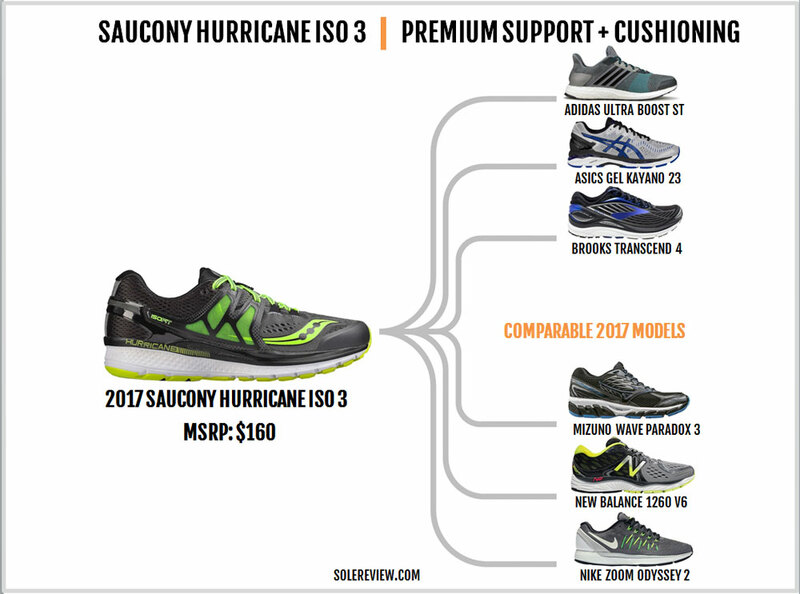 Considering the $160 price tag, Saucony could be more generous with how it doles out Everun to the Hurricane. After all, doesn’t the similarly priced Saucony Freedom ISO get a full Everun midsole? The Hurricane ISO 3 differs from the ISO 2 both in fit and ride quality. The ISOFIT panel has been downsized on the newest model, thus increasing upper room in the process. It also helps that the upper is built using a slightly stretchy engineered mesh and has reduced layering over the forefoot. The ISO 3 breathes better too. The upper heel design has changed which relaxes the shoe’s hold over the Achilles when compared to the ISO 2. Overall, the ISO 3’s upper is simpler than the ISO 2. 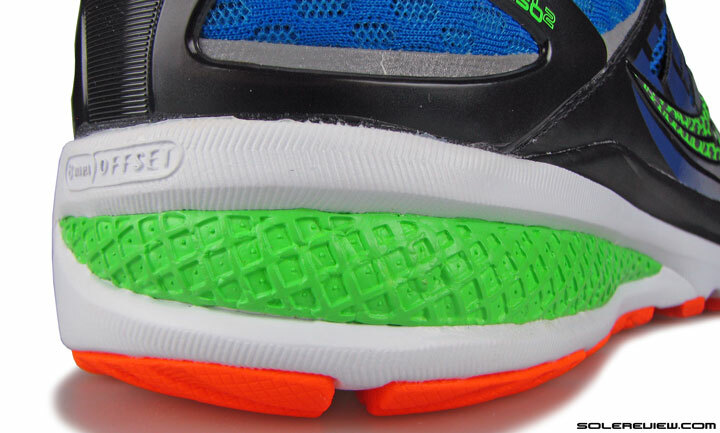 Along with the toned-down ISOFIT panel, the tongue loses the molded detail last seen on the ISO 2. There’s a significant change in the ride quality as well. While the ISO 2 had an outward biased cushioning due to the Everun crash pad, the ISO 3’s rearfoot cushioning is centered and more supportive. 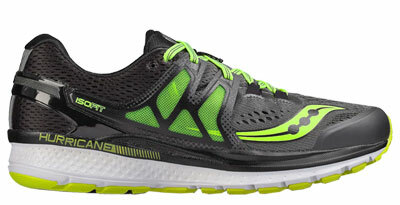 That’s because Saucony relocates the Everun plug inside the firmer midsole. Also, the size of the medial post has been trimmed in the rear, making the firmer component less noticeable than last year. The edges of the inner midsole flares up higher than the ISO 2, so there’s an increased sense of under-arch support. Both versions are equally matched on price and weight. 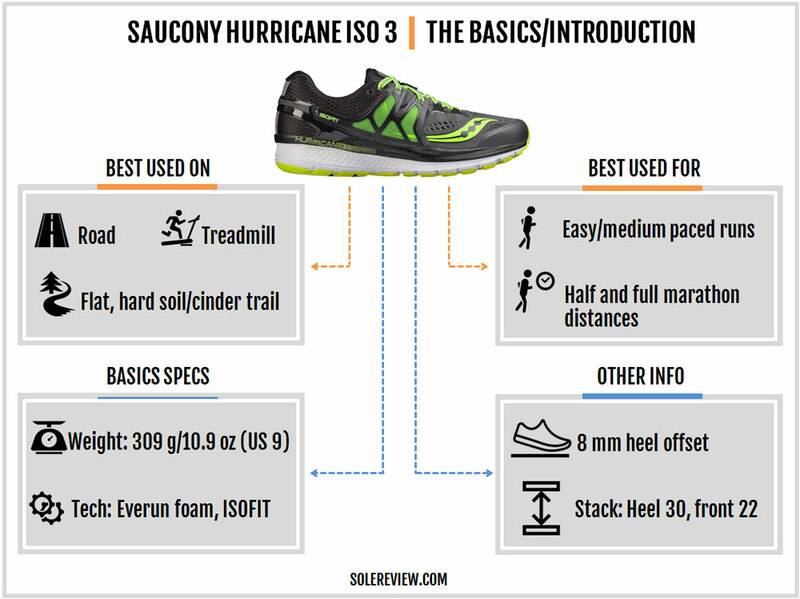 Using the Hurricane ISO 3 along with a lighter (and firmer) stability model and a speed shoe would yield the best rotational result. This way, you can do the long and easy runs in the cushioned Hurricane, and a model like the Guide 10 is optimal for medium-paced runs. 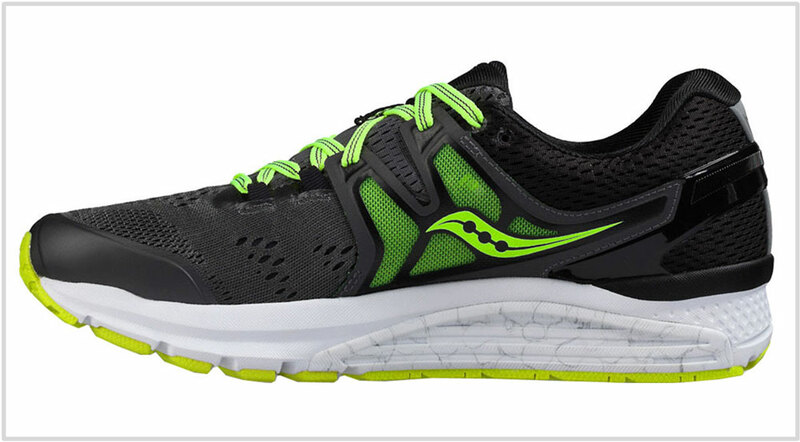 For short races, interval training, and other workouts of a speedy nature, the Saucony Fastwitch 8 is your shoe. The Nike Lunarglide 8 and the New Balance 1500V3 are the equivalents of the Guide and the Fastwitch. The Lunarglide 8 is a lightweight stability shoe sans the medial post, while the 1500V3 is an excellent lightweight trainer for those fast runs and short road races. 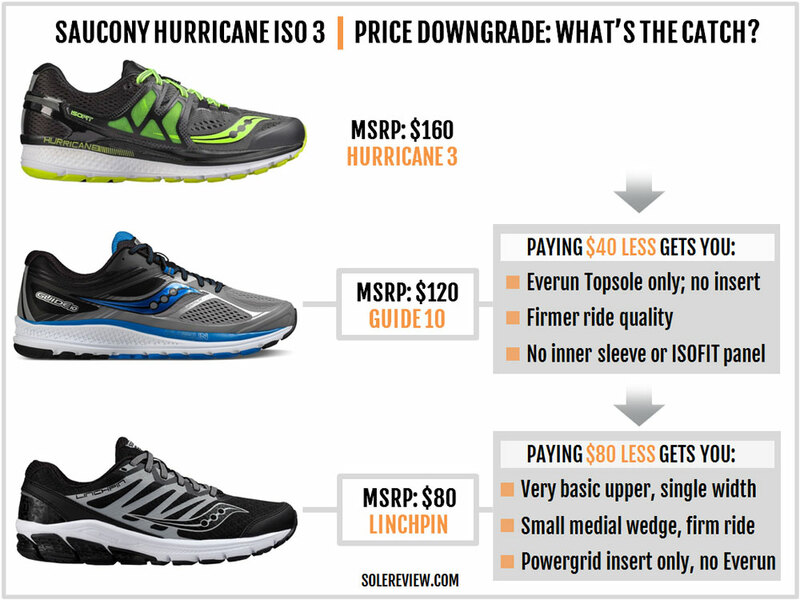 While there are various stability shoes priced lower than the Hurricane, we’ll focus on the ones with a wide chasm – both in price and function. 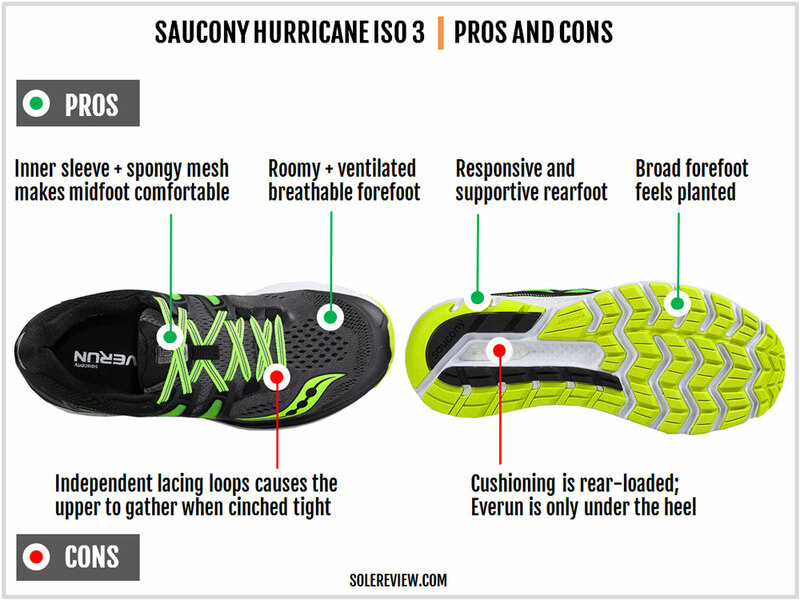 The Saucony Guide has always been a popular choice for runners who like shoes with medial-posts, but without an overbearing motion-control behavior. Though the Guide 10 has a firm ride, the Everun topsole makes it slightly responsive and the balanced midsole design is very supportive. The upper design is much simpler than the Hurricane, using a tried-and-tested combination of engineered mesh and fused synthetic. No ISOFIT here, sorry. 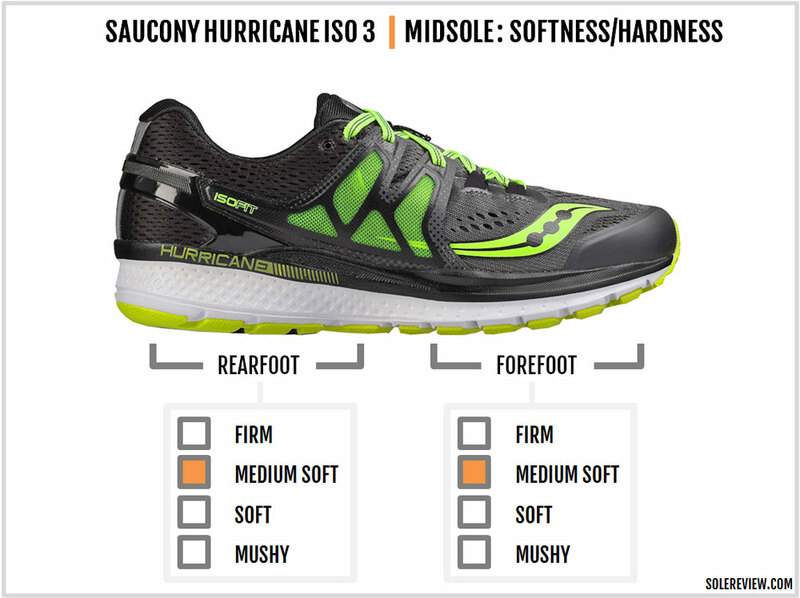 For half the price of the Hurricane, the Linchpin is Saucony’s entry-level stability shoe. The firmer wedge is extremely small, somewhat reminiscent of the Zoom Span or the Asics DS Trainer. Unfortunately, the Linchpin feels like a half-price shoe too. The Linchpin’s upper materials used are very basic and lack plushness in any form. The ride quality is also devoid of any cushioning. The midsole is very firm, and the entire outsole is made of hard rubber (no soft blown rubber under the forefoot) which further contributes to the sub-par ride quality. It makes more sense to score the last year’s Guide 9 at a bargain price than the Linchpin. Each brand has their version of a premium cushioned-support shoe. Adidas has the Ultra Boost ST which is extremely well-cushioned. It doesn’t have a medial post, but the inner midsole is higher than the outer side. The 2017 Supernova ST is also a contender, considering how much softer it is over its predecessor, the Sequence 9. Both the adidas models are softer and less supportive than the Hurricane ISO 3. The Asics Kayano is a familiar name in this category. The relatively snug-fitting 23rd version switches to a Flytefoam midsole while retaining the firmer foam wedge and Gel units. Compared to the ISO 3, the Kayano has a slight cushioning bias towards the outer side. 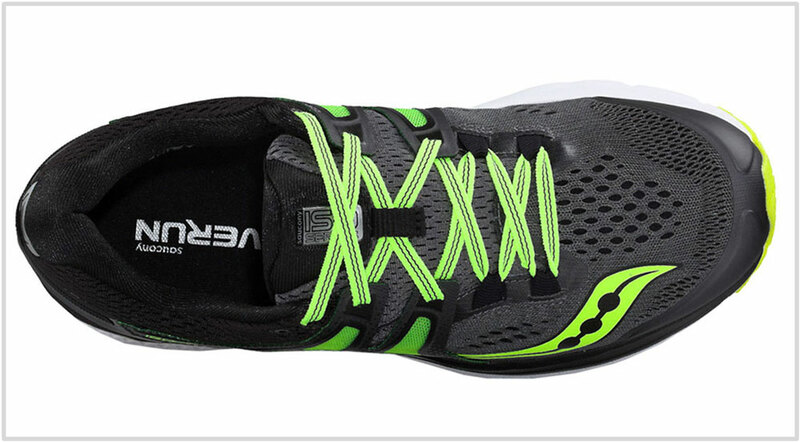 The Brooks Transcend 4 features neither a high-tech foam or a medial-post. It just happens to be a well-cushioned shoe with a support level which lords over all other shoes on this list. Mizuno has the Wave Paradox 3. The midsole has the characteristic feel of a Mizuno running shoe owing to the stiff Wave plates and produces a very supportive ride. The New Balance 1260 V6 is the closest to the Hurricane ISO 3 in ride and upper fit quality. The upper is roomy, and the ride is cushioned – although with a hint of outer bias. Lastly, the Nike Zoom Odyssey 2 is a firm shoe with an unusually long medial post. A bigger brother to the Structure 20, the Odyssey packs two Zoom Air bags to perform cushioning duties.